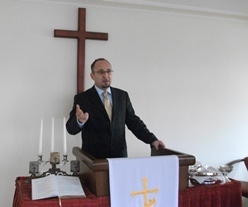 A Turkish Protestant pastor arrested by police in the Black Sea province of Samsun this week is accused of involvement in prostitution and the human trafficking of refugees. 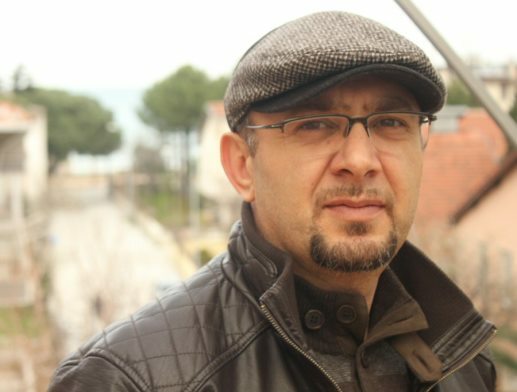 Pastor Orhan Picaklar of the Samsun Agape Church was summoned to local police headquarters for questioning on Monday afternoon (November 11). The 42-year-old pastor was detained until Wednesday evening in a police investigation led by the Morals Bureau of the Public Order Division. The criminal case was reportedly based on a telephoned complaint from an unidentified person. “It is obviously a deliberate plot,” a spokesperson from the Alliance of Protestant Churches in Turkey told World Watch Monitor, saying that Picaklar had been harassed for years by local media and city authorities who openly opposed the church’s existence. While in detention with seven other individuals, Picaklar learned they were all being named as suspects in the same “human trafficking operation”. “I hadn’t ever seen any of them, and none of them knew me either!” Picaklar told World Watch Monitor. But the Turkish press was quick to trumpet the pastor’s arrest for the next two days, before Picaklar was finally brought to testify before the prosecutor on Wednesday afternoon. On Tuesday, the national daily Milliyet quoted the alleged statement of a 19-year-old Iranian woman whose legal visa in Turkey had expired. 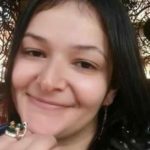 The young woman claimed that Picaklar had proposed a sexual relationship with her, in exchange for rent payments she could not make to the church. When she refused, she said she moved in with another woman, where her passport was confiscated and she was forced into prostitution. After his release, the pastor confirmed that he knew this woman, who had said she was a Christian and came to study in Samsun. Because she had no place to stay, he had offered her a 25-day stay in facilities the church often loaned to needy refugees on a short-term basis. 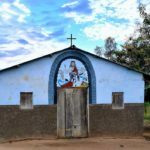 But when he found her in a compromising situation with a half-clothed male companion about 10 weeks ago, the pastor, accompanied by a police officer, asked her to leave the church facilities immediately. Picaklar told Ihlas News Agency on the night of his release that he would not leave Samsun or stop his ministry in the church over this. “Today I will remain here in a more determined manner. I am not at all ashamed, because I have done nothing wrong. I am simply helping people,” he explained, saying that his church was helping as many as 500 to 1,000 refugees. “I am not at all shocked by this embarrassing slander,” Picaklar said, since only a week before, the police had informed him they had caught a man planning to kill him. 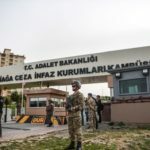 Although released from custody, Picaklar has been ordered by the judge to sign in at police headquarters every Monday until a formal indictment has been filed and court proceedings begin. 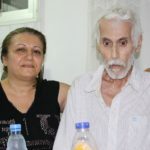 Picaklar and his congregation have been accused repeatedly of “illegal missionary activities” by local TV channels and newspapers, claiming the church used bribery and prostitution to deceive young people and convert them to Christianity. The church building itself has been vandalised, stoned and its windows broken a number of times. 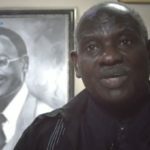 The pastor continues to receive death threats over the telephone and internet, and was once kidnapped by men posing as plainclothes policemen. He has been under police protection for the past five years, ever since a suspect planning to kill him was caught by police authorities. A former Muslim who converted to Christianity 21 years ago, Picaklar has pastored the Samsun Agape Church since 2003. The congregation was granted formal “association” status in 2005, although like other new Christian congregations in Turkey, it is still prohibited by law from official government recognition as a church.